Spout caps are useful whenever a uniform stream of liquid is needed. 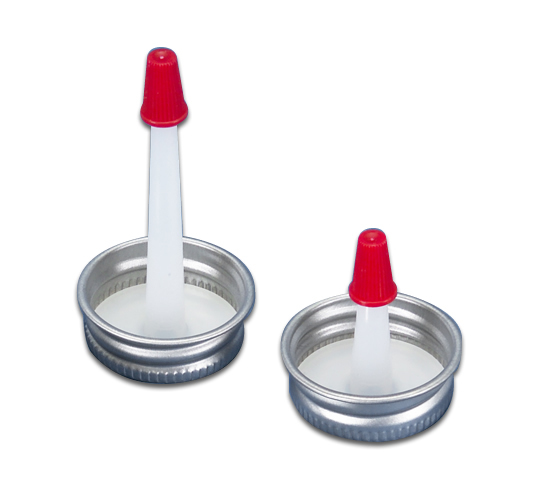 For use with metal screw top cans, cap is reverisble. Available for screw cap cans with 1" neck. RT1 Reversible Plastic Spout Cap: 1" x 1"
RT2 Reversible Plastic Spout Cap: 1" x 2"